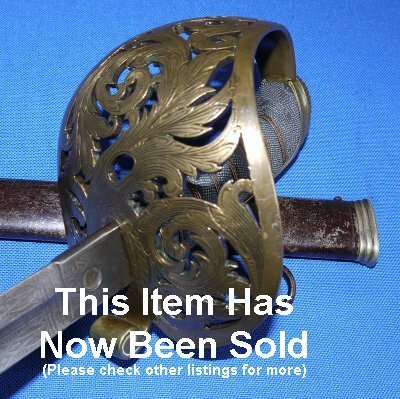 In good to very good condition, a 1857 pattern Victorian British Artillery Volunteer Engineer Officer's Sword, made by Pillin. 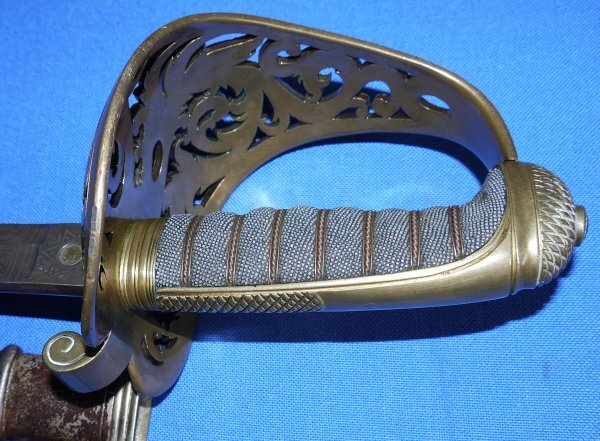 A great example only let down by the loss of browning to the scabbard. 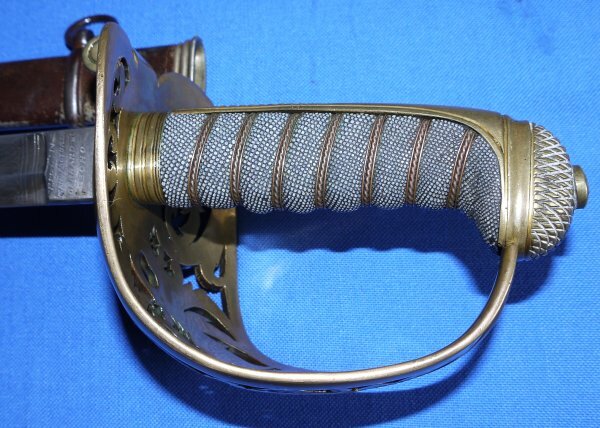 The 1857 pattern engineer officer's sword is said by many to be the most attractive British military pattern sword ever made. This one was made by quality manufacturer Pillin. The 32 1/2 inch blade is in very good condition, some signs of age (not much) and a single small nick. The blade is firm in the hilt. 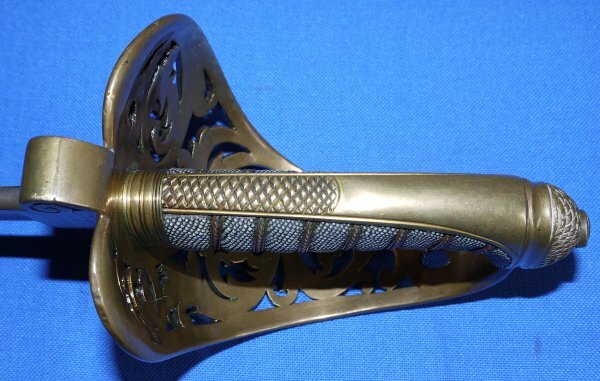 The brass hilt is in very good condition, as is the fishskin grip and associated grip wire. The scabbard is in good condition but is aged visually. The sword sheathes and draws a bit loosely. Lovely looking sword in well above average example and from a quality maker. A snap at £? (too late, now sold). Please quote item reference AC38 (0283). Further / full sized photos available upon request.